Let’s see what we’ve gathered so far. Type ‘show dashboard’ in the console. 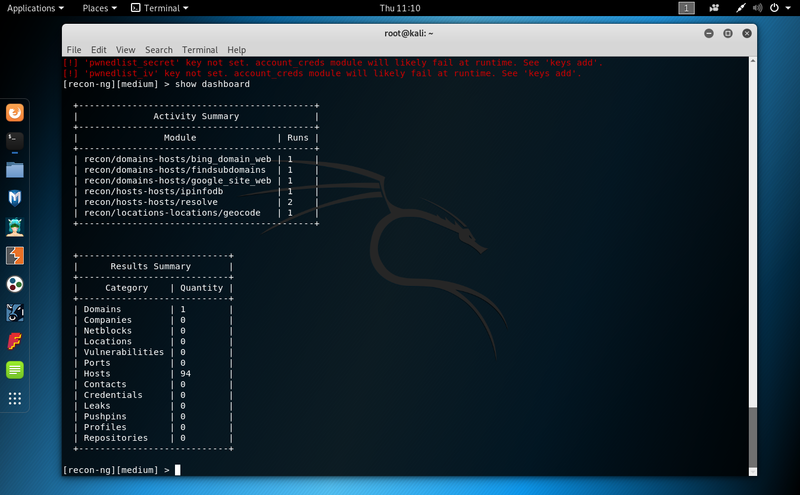 This module uses a wordlist to brute force check the existence of hosts through DNS. We have domains, hosts, ip, locations. Lets get some contacts with the help of the following modules. Again, we’ll need to obtain an API. Go to fullcontact and register. This module tests for the existence of predictable files on hosts. Another module that need an API Key. 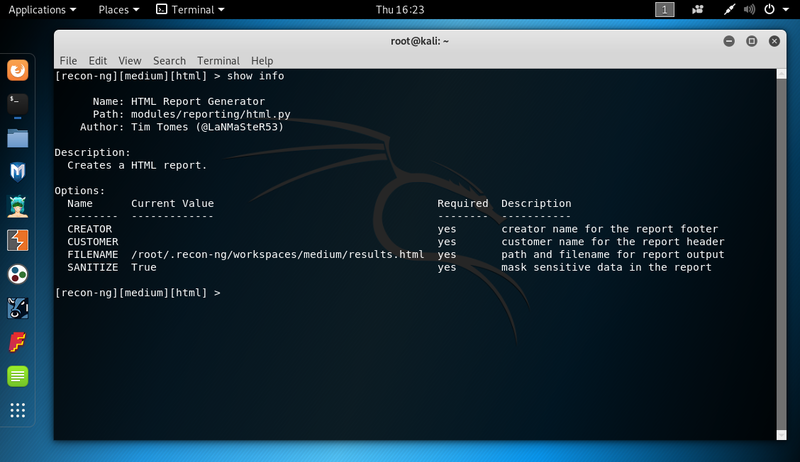 Two modules for checking XSS records associated with a domain. Everything we’ve done so far has been gathered into Recon-NG DB. It’s now time to take all that information and create a report. 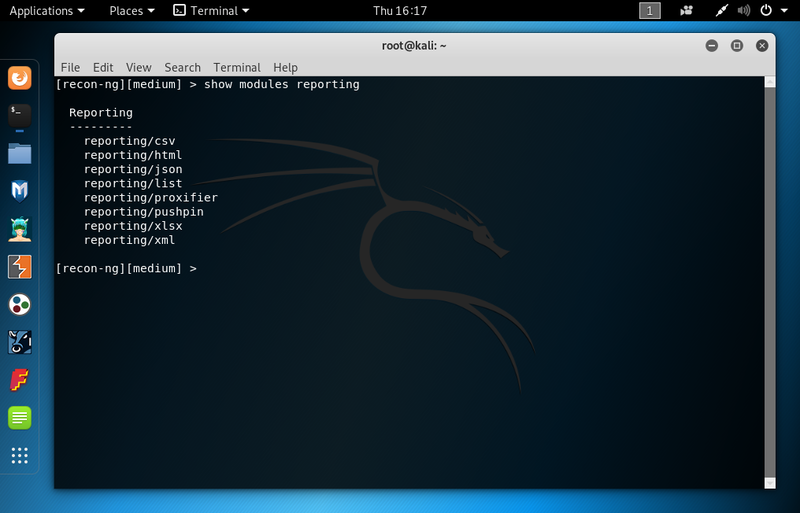 Reports are an essential part of pentesting. A good report includes as much info as possible. But first we’ll set the ‘creator’ and ‘customer’ option.